Fatigue arises primarily due to sleep deprivation. It constitutes a serious danger to all those who must work long and sometimes erratic hours, especially when night shifts are involved. A fatigued ship’s officer on the bridge of a ship during a night passage provides a text book example. The scene is then set for a grounding together with the associated costs of oil pollution, cargo loss, wreck removal and worse. This Risk Bulletin will look at this recurring problem and the ship management practices required to eliminate the root cause. The fatigued watchkeeping mariner problem continues to manifest itself by way of on-going coastal trade ship groundings. These incidents almost invariably occur during hours of darkness. As such, the underlying problem relates to the origins and evolution of the human body. We are not night hunters and our circadian rhythms are intended to put us to sleep during hours of darkness. Watchkeepers must therefore fight against this phenomenon. If they are not sufficiently rested, then sleep and resulting havoc will triumph. Fatigue impacts any human’s spatial awareness and their reaction time. Tests show that drowsy car drivers are three times more likely to be involved in a crash. If they have been awake for over 20 hours, this is the equivalent of driving with a blood-alcohol concentration level of 0.08%. For road users, the blood alcohol limit in the UK and Singapore is 0.08% with a global average of about 0.05%. For watchkeeping mariners, the IMO’s STCW Convention recommends a 0.05% limit but it may be set lower by ratifying nation states e.g. 0.02% in Denmark. SOLAS Chapter V also provides Flag States with a significant degree of latitude in assessing the minimum safe number of crew required to operate a ship. This is unfortunate as it has created a tool for less scrupulous flags to cut crew levels to a very low number; often below what is necessary to comply with the spirit of the Convention in terms of both safety and rest periods. Shipowners and MM members should therefore be careful they are not drawn into a situation where a flag state’s Minimum Safe Manning Certificate conflicts with the anti-fatigue and ship safety obligations imposed by the other ILO and IMO Conventions referred to below. 77 hours in any 7-day period. 3.The hours of rest may be divided into no more than two periods, one of which shall be at least 6 hours in length, and the intervals between consecutive periods of rest shall not exceed 14 hours. Shipowners and Masters are obligated to ensure that rest and work hours are accurately recorded. This can be a tedious process but software programmes are readily available to assist and ensure that Flag and Port State Control (PSC) requirements are properly met. Non-compliance can lead to PSC detention, time charter off-hire, unbudgeted port costs and even subsequent PSC blacklisting. STCW Chapter VIII, Standards regarding Watchkeeping, Part 3 – Watchkeeping at Sea, in the section headed ‘Look-out’, states that the officer in charge of the navigational watch may be the sole look-out in daylight but always subject to the prevailing weather, visibility, traffic density, etc. The clear STCW implication is that the officer in charge of the watch should not be the sole look-out at night. The UK Marine and Coastguard Agency (MCA) clarifies this issue in their Marine Guidance Note MGN 315 (M), ‘Keeping a Safe Navigational Watch on Merchant Vessels’. The MCA considers it “dangerous and irresponsible” for the OOW to act as the sole look-out during periods of darkness. This is a powerful and negative risk assessment made by an internationally respected maritime authority. It should not be ignored by the owner or Master of any ship sailing under any flag. It will hopefully be understood from the above references to the applicable IMO conventions that full compliance with the obligations they impose is essential. As an integral part of this process, it is crucial that these obligations be met by their formal incorporation into a shipowner’s Safety Management System (SMS) manual and procedures as mandated by the ISM Code. As an assistance, shipping industry fatigue analysis and management studies have been accomplished by the UK’s MCA, the USCG and the Dutch Ministry of Transport. The underlying premise is that fatigue, like any other risk, can and must be managed. The common recommendation from each of the above studies is the creation and proper implementation of a Fatigue Management Plan (FMP). 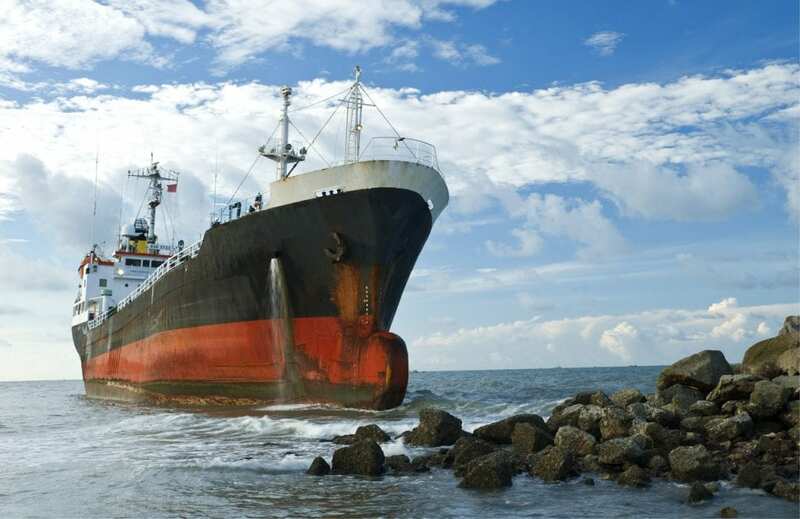 Guidance on the shipping industry fatigue problem and the creation of an FMP is provided by the UK’s MCA Notice MGN 505 (M), HUMAN ELEMENT GUIDANCE – PART 1 Fatigue and Fitness for Duty: Statutory Duties, Causes of Fatigue and Guidance On Good Practice. The MCA Guidance provides an excellent summary and starting point for the assessment of procedures contained within a shipping company’s existing and mandatory SMS. MM recommends to its members that they forward this Risk Bulletin to their ship managers and ship masters for their review, feedback and necessary action. If current SMS procedures relating to Fatigue Management are found to be inadequate, then this should be rectified – inclusive of the incorporation of a suitable FMP – as a matter of ISM Code full compliance priority. In November 2018, the IMO’s Marine Environment Protection Committee approved MEPC.1/Circ.878 , Guidance on the Development of a Ship Implementation Plan for the Consistent Implementation of the 0.50% Sulphur Limit (under MARPOL Annex VI). The requirement for a Ship Implementation Plan (SIP) to be carried on board all ships subject to MARPOL compliance is now the target of an ‘information campaign’ by both the Paris MOU and Tokyo MOU.